Our research is focused on two goals: to identify the genetic determinants of common, aging-related endocrine diseases and to use this information to provide improved clinical care. 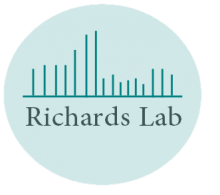 The Richards lab is composed of a talented group of graduate students, trainees and research assistants. Looking to do a Postdoc in Genetic Epidemiology or Bioinformatics?